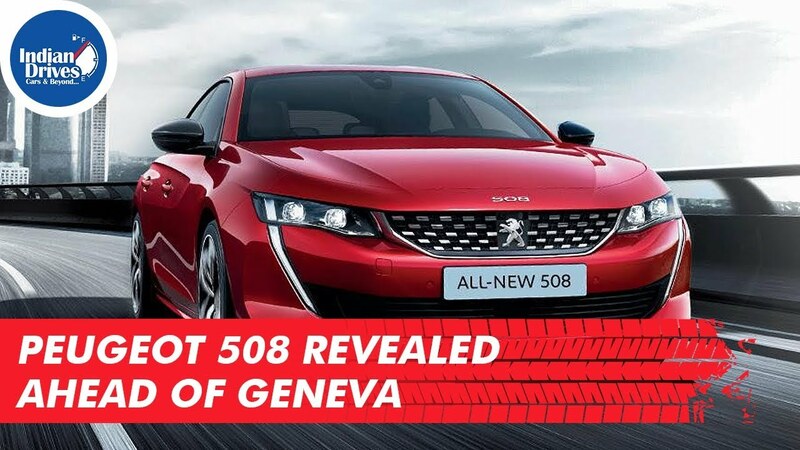 The new Peugeot 508 has been unveiled ahead of its official debut at the upcoming Geneva Motor Show. The new Peugeot 508 is a large family sedan which is increasingly looking to make its place in a world dominated by SUVs and crossovers. Once launched, the new 508 will take on the likes of Opel Insignia, Ford Mondeo, Volkswagen Passat and the BMW 3 Series. 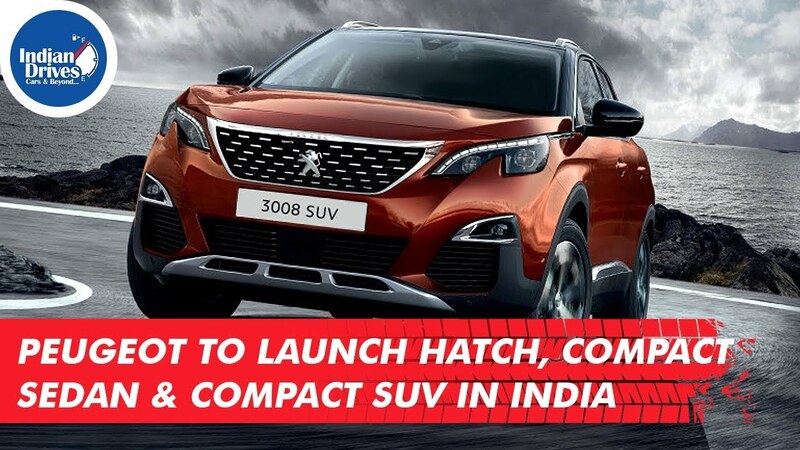 Peugeot to launch 3 different cars in India – a hatch, a compact sedan and a compact SUV. The company has codenamed these cars as SC1, SC2 and SC3 respectively. A reader of Indian Autos Blog has spotted a couple of Peugeot 208 Hatchback in Maharashtra’s Satara district. The completely undisguised cars were undergoing tests before their launch in the country. 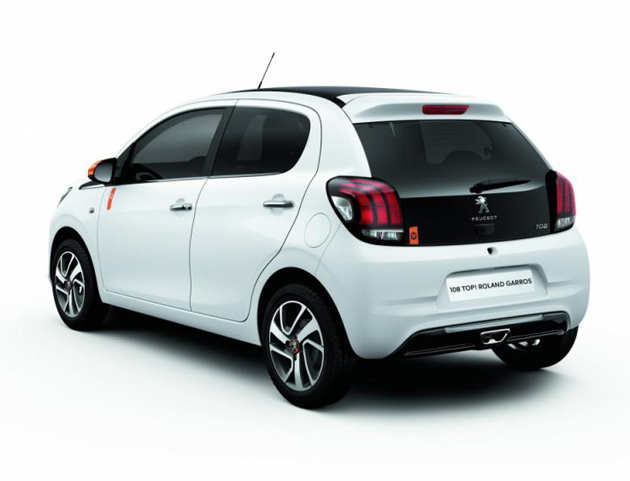 Peugeot has launched 108 Roland Garros edition in UK for a price of 12,495 GBP. As it is witnessed the Roland Garros and its tie-up with the Peugeot is quite old dating back to 1984. This 108 launched is based on the high-end Allure trim and possess every bit the stylish owner needs to flaunt. The Peugeot cabriolet in this special edition is painted white with contrasting orange wing mirrors and Roland Garros branding. Buyers can also choose black shade instead of white for a more aggressive appeal. Stepped inside, Grey Rayura cloth edged with orange trim, Porcelain ambience and Roland Garros floor mats are found. The equipment list do include automatic air-condition, where maker also listed 15-inch Thorren alloy wheels with orange centre caps. The engine bay is packed by a 1.2-liter PureTech machine with 82PS of peak power and 99g/km of CO2. 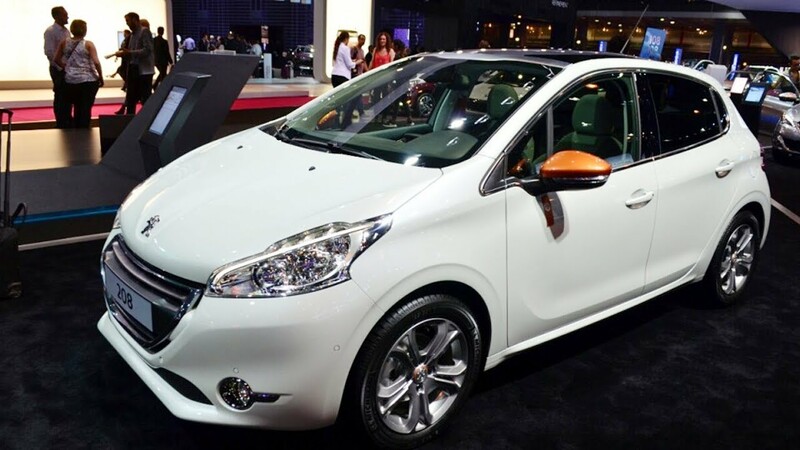 The reason for Peugeot to highlight 108 with such an edition was to raise the excitement of 2015 Roland Garros French Open, which it sponsors. The tournament is scheduled to take place between 19th May and 7th June. As an official partner, Peugeot supplies a fleet of vehicles for moving the players, VIPs and public for fortnight. 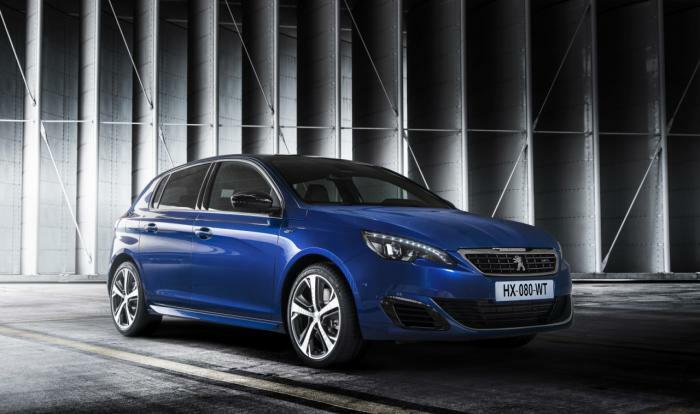 The title of most powerful hot hatch is now awarded to Peugeot 308 R Hybrid. Yes, the Audi RS3 of 337hp is dethroned with its 2.5-litre engine to the second spot. French with their 308 R made use of a 1.6-litre THP petrol engine of 270hp and two electric motors of 115hp mounted on each of the axles. Torque it produces rates at 730NM. The overall figures conclude the car to stand in line with the powerful sedans of the category, like Mercedes C63 AMG. Though, traction is provided via a four-wheel drive layout which allows it to hit the 0-100km/h in 4.0 seconds straight with the electronically restricted top-speed of 250km/h. Above all, despite guzzling such power just at the dab of an acceleration, it leaves behind an acute amount of carbon footprint – 70g/km. 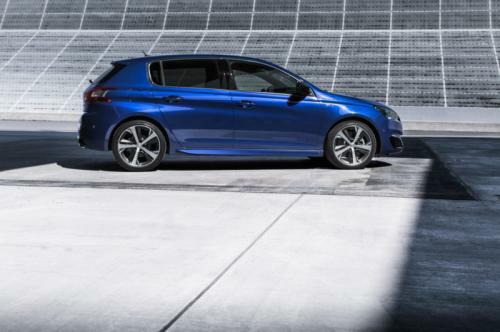 This hot hatch 308 R of Peugeot uses four modes of driving to offer the thrill. Hot Lap unleashes the full 500PS. The Track Mode gets drivetrain shrunk to 400hp and 530NM stressing mainly on the petrol engine. In fact, the Road Mode will get the output up to 300hp and 400NM. For most of the cases, it is the rear motor pressurized, and when needed only the front unit spring into action depending upon the amount of acceleration sent. On the cosmetic front, it got narrow spoiler and air scoops for keeping the temperature of battery at the lowest, wide fenders, 19-inch alloy wheels and blue-black paint scheme. Thus, the car now received the attention that Mercedes, BMW and Audi received. Those Germans must roll up their sleeves to answer this call. Or else, see some more of the examples come out with the beastlier answer than this. Those who think Peugeot can make only conventional looking hatchbacks, are needed to think over once again. 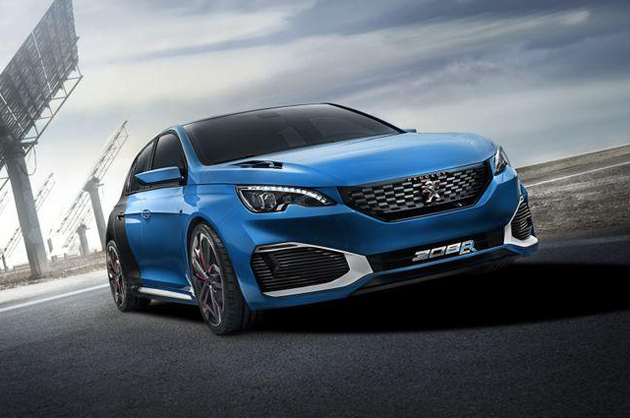 Though, this French automaker hadn’t revealed something out-of-the-box at Sao Paulo Motor Show, but unveiling of 208 Natural and Urb concepts depicted Peugeot is still in the league to make a more aggressive move in future. 208 Natural Concept is basically an eco-friendly model featured with components sourced from sustainable sources. A very detailed and specific revelation isn’t made. Cosmetic appeal on outer is fizzed with brown exterior paint and upgraded cabin space with specially crafted seats, dashboard and upholstery. Under the bonnet, automaker affirmed it of being based on the 208 Allure model which comes powered by a 1.5-liter Flex engine. On the flipside, just like nomenclature added, Peugeot 208 ‘Urb’ Concept, it is designed to entice the urban movers. 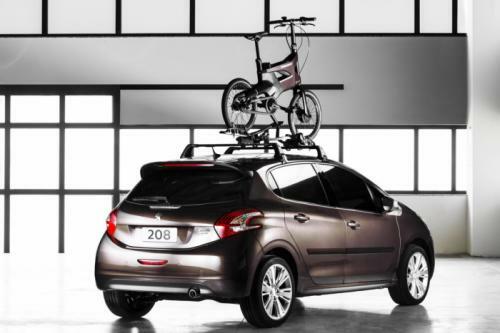 It possesses all that Peugeot gimmicks in right context, featuring roof rack stacked with AE21 electric bicycle. Chrome accents on body makes that composition more engaging. Inside the cabin, an umbrella compartment and luggage parcel tray shows off tranquilities of true-blue urban mover’s preference when on the move. The version on which it is pinned is the top-end 208 Griffe boasting a1.6-liter Flex engine in the bay mated to an automatic transmission. Probably, now there don’t seem any possibilities of them making into production. Still then, we enjoyed seeing them, specifically Urb concept the most. After a long bygone era, Peugeot finally brought something interesting to the paddock of a Motor Show. As virtually unveiled the 308 GT ahead of 2014 Paris, the car is actually a sportier version of the standard model. 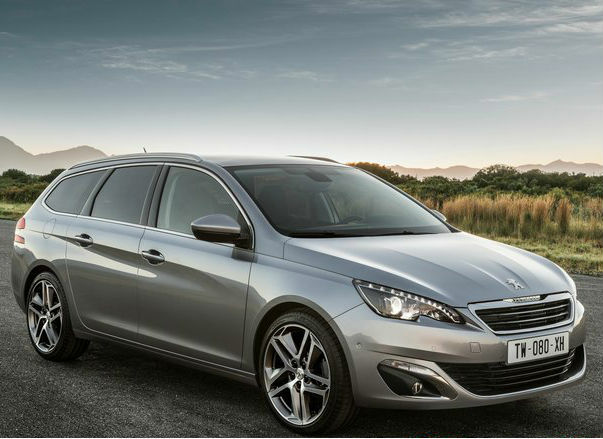 Apart from GT, Peugeot 308 is also meant to go on sale with the platforms of hatchback and station wagon. Changes grown here are the LED lights and turn indicators given on the front fascia, whereas the rear is embellished with a black diffuser and stylishly planted twin exhausts. Remarkably, the logo of carmaker is now moved from the bonnet to front grille. As per the official words, it was confirmed the suspension setting is re-tuned while the acceleration is given more responsiveness than before by means of standard Driver Sport Pack provided with every 308 GT. Under bonnet it could be the 1.6L four-cylinder THP 205 producing 202bhp and 285Nm of torque, mated to a 6-speed manual gearbox. On the diesel crust, a 2.0L four-cylinder BlueHDI diesel motor of 178bhp and 400Nm of torque provided with automatic transmission to be seen. Hence, the pin-perfect technical data will be revealed at the Paris Motor Show soon. 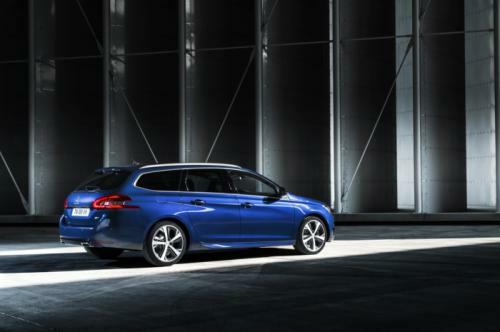 However, the Peugeot this time is seemed appealing extensively with French-cut for 308 GT. 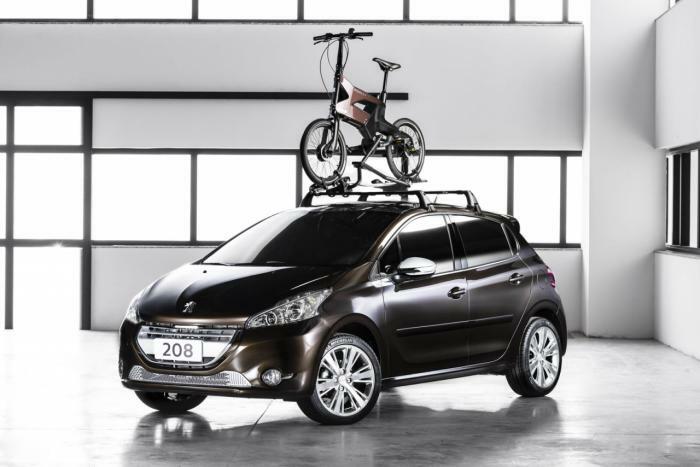 Peugeot, after a long time, made to the news with a special edition. 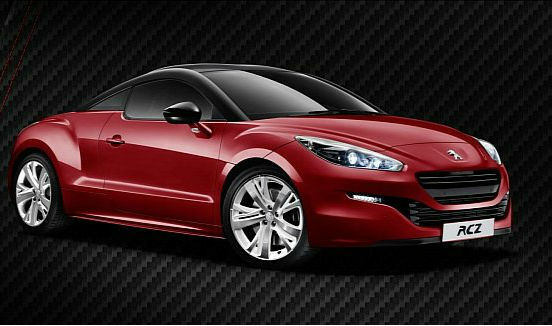 This time it’s the Red Carbon Special Edition of RCZ launched in UK, based on the Sport top trim level of the model plate. Rivaling the Audi TT in adored French jaws, the small car of Peugeot rolled out in two color options: Moroccan Red and Nera Black. The best pick from both the shade is Red, if we are asked to buy. On the comparison note, special edition and the conventional RCZ doesn’t looks wildly different than each other. Changes made are concluded on the bill of ‘Black Pack’ that includes matt black roof arches, brilliant black front grill, door mirror covers and brake calipers. On interiors, Peugeot chooses ‘Red Carbon’ seats that are actually black in color, and had stitches running across in red. Dashboard, the shifter and the gear lever along with the door panels gets that same treatment. 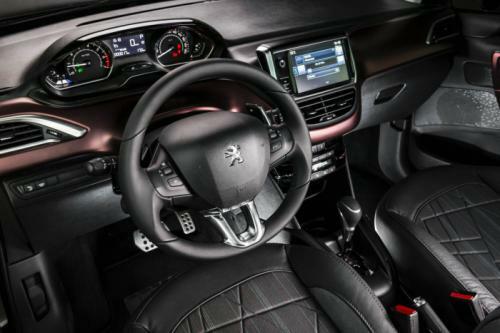 Peugeot’s standard ‘Vision Pack’ encompassing Xenon, directional and self-levelling headlamps, 19-inch alloy wheels too are founded on it alongside a Connect Navigation (RT6) system, Audio, CD and satellite navigation system. 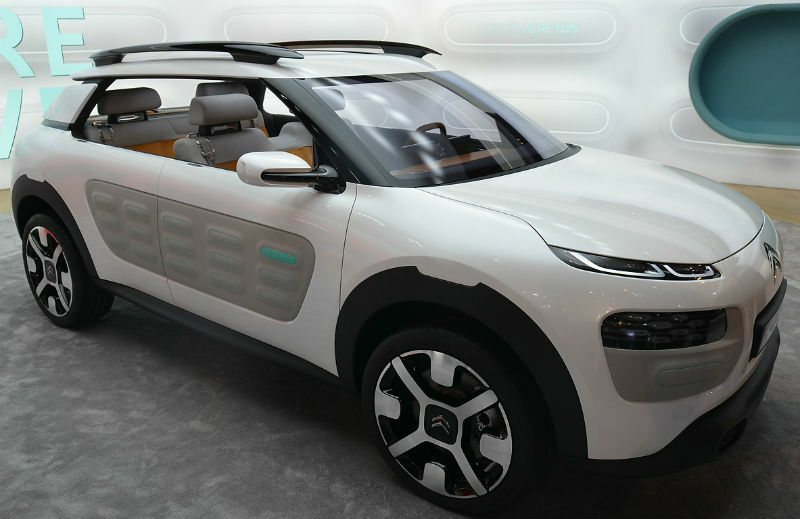 Just don’t be lazy who wishes to buy this French beauty, because the carmaker had promised to build only 300 units of these. Prices start at £26,000 for the 1.6 THP of 156 hp variant. The petrolheads wanted to have more from the bay of a French car, they can opt for a powerful version of 200 hp that costs £28,400. The conservative guys, we meant the diesel buyers, an option too is given for them. The 2-liter GDi diesel of 163 hp costs £27,850. In return, Peugeot had planted the RCZ with some better fit and finishes this time, but it hadn’t trailed off the slowest 0 to 62 mph time of 8.7 seconds. 2014 Geneva Motor Show starts on 3rd March, so we have created a handy roundup of what you can expect. The 84th Geneva Auto Show is a relative return to normalcy, considering 2013’s extravaganza of exotic vehicles such as Lamborghini Veneno and Ferrari LaFerrari. The wild stuff will still be there; however this Geneva Show will provide a better balance of vehicles for all budget types. It is one of the most prestigious significant annual events in the automotive industry and is known for its open feel and relatively compact size. Major automobile manufacturing companies are right alongside tiny upstart carmakers and supercar firms. It is also one of the most important and biggest shows of the world with models including Alfa Romeo 4C, Ferrari LaFerrari, Volkswagen Golf GTI and Audi A3. The doors will open on 3rd March, during which time over 10,000 media representatives from all over the world and over 700,000 fans will walk the aisles and scrutinize all the vehicles. We already known that there will be world debuts of new Audi TT, Lamborghini Huracan, Mercedes Benz S-Class Coupe and BMW 4 Series Gran Coupe. The 2014 Geneva Motor Show includes over 900 cars, dozens of concept and new model introductions, a retrospective of 90 years of 24 Hours of Le Mans and test track for electric vehicles. So before we grab our passports and head to Switzerland, we wanted to give a peek at the most significant vehicles at 2014’s Geneva Auto Show. Read our guide below to see what will be on display at the show. The word is that Alfa Romeo will wow Geneva crowds with Targa-roofed version of 4C sportscar. What we know for sure is that there are new models of Alfa Romeo MiTo Quadrifoglio Verde and Alfa Romeo Giulietta on the stand. 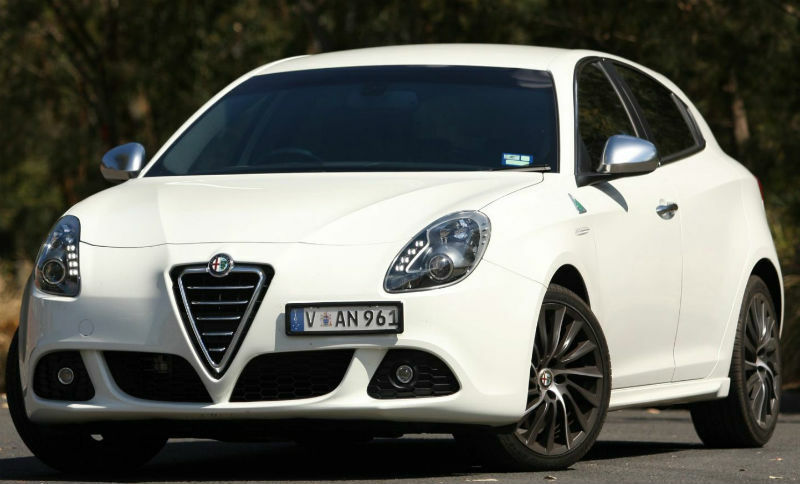 The upgraded Giulietta QV will be motivated by a 1.75 liter turbocharged petrol aluminum engine from Alfa Romeo 4C Coupe, which is good for pulsating 237 horsepower. 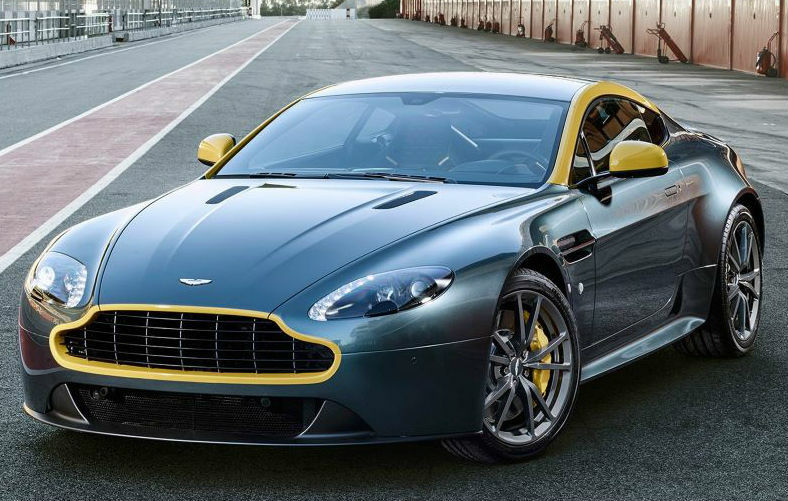 The British automaker is planning to launch two special edition models at the show, the V8 Vantage N43 will be joined by DB9 Carbon White that’s also offered n Carbon Black. The new models mark 101 years of AM production with cosmetic and mechanical changes marking them out over standard models. Audi is likely to expand its S range with the forthcoming S1. Speculation of performance focused A1 has been fierce since the vehicle’s introduction 4 years ago. And while we have already driven the limited edition A1 Quattro and a prototype, the S1 Sportback and S1 will take place in Geneva. The S1 is expected to be a strong rival in the hatchback segment with turbocharged 2.0 liter powerplant and Quattro all wheel drive system from S3. 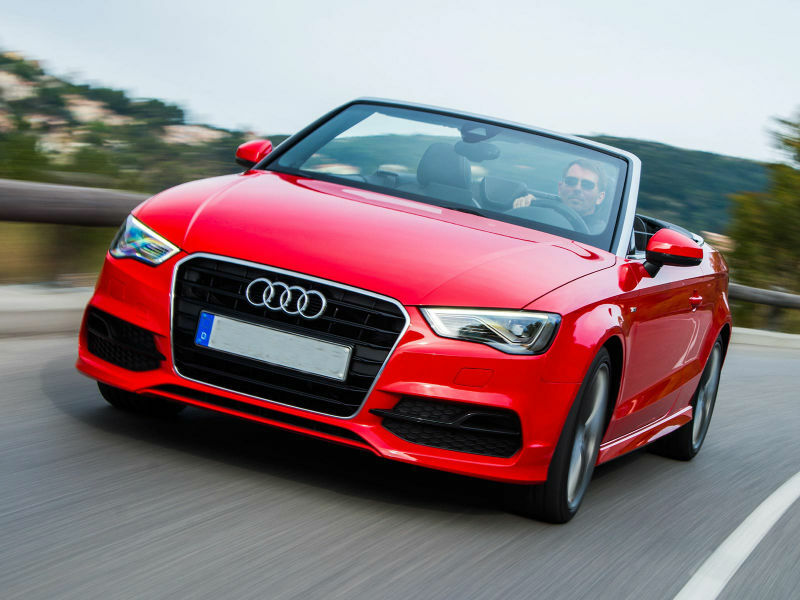 The 2014 Audi S1 takes the proven framework of A1 premium subcompact hatch as its basis, injects it with 231PS of TFSI-derived thrust and shores up the result with Quattro four-wheel-drive that appears for the first time in a series production car in this class. Audi teased the aesthetic of TT with Allroad Shooting Brake in Detroit, and with the spy shots of pre-production TT prototypes, we have a pretty good idea about what the all-new model will look like. The Audi TT is one of the most iconic vehicles in our range. Both Roadster and Coupé are offered with fuel-efficient TDI powerplant and road holding Quattro all-wheel-drive – the same technologies which have given us unprecedented success in Le Mans 24-hour race. There is also a wide choice of optional upholsteries and alloys for ultimate comfort. It all means that you can enjoy driving the Audi TT purely for pleasure. Audi will be introducing the S3 range at Geneva Motor Show too. The S3 Convertible will be equipped with Quattro all wheel drive system that sends power to all the four wheels and a 2.0 liter turbocharged powerplant, which is good for producing 296 horsepower. Geneva is a busy show for Audi, with the company also introducing the RS4 Nogaro – a special edition of fast estate vehicle with new interior and paint job for celebrating 20 years since RS2 Avant was introduced. BMW used the show in Detroit for showcasing the new BMW M4 and M3 for the first time, so it will be tricky to generate the same level of excitement in Geneva. 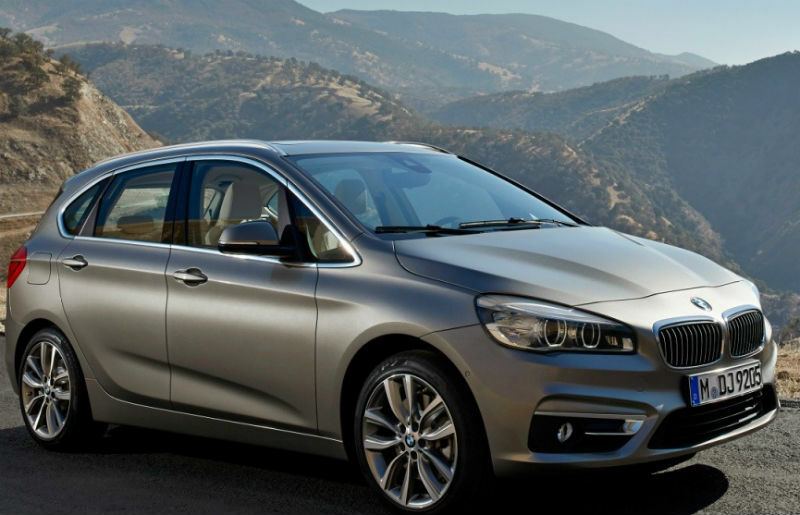 Nonetheless, it does look like we will see the launch of BMW 2 Series Active Tourer, the first ever front wheel drive multipurpose vehicle of BMW. The BMW 4 Series Gran Coupe will also be on BMW stand. The stunning new 4 Series Gran Coupe combines 4-door practicality with coupe lines and provides the sleek look of a 2-door coupe with functionality provided by 4 doors. While it is identical in width and length to 4 Series Coupe, the roof of Gran Coupe is 12mm higher and stretches 112mm further back, leaving more headroom for rear seat passengers. Details of the more practical 4 Series Coupe were released earlier and the vehicle will go on sale in June in UK. Another show star at 2014 Geneva Motor Show will be Citroen C4 Cactus. You can make your own minds up on the styling; suffice to say it is an acquired taste and is sure to spur lively debate as they start appearing on the roads. It carries a new yet simpler approach to design and focuses on usability and comfort, rather than performance. The production version retains the stunning design showcased by concept at Frankfurt Auto Show. The automaker will also reveal the latest version of C1 city vehicle and will be a sister car to Peugeot 107 and Toyota Aygo both of which will be introduced in Geneva. 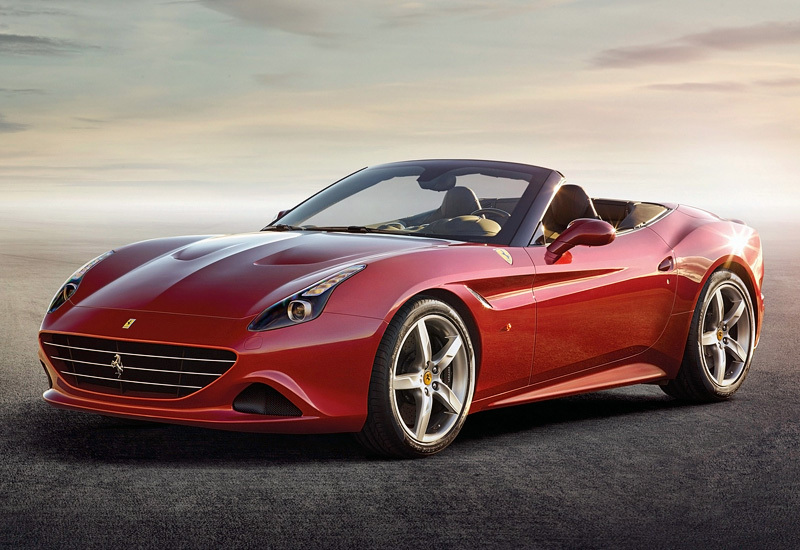 Elegant, sporty and versatile: that’s the Ferrari California. Since 1950s, this particular model has been the Prancing Horse’s finest embodiment of all three attributes. Now, however, the new California T adds a radical innovation to that honorable tradition whilst still retaining the vehicle’s highly renowned versatility. The T in its moniker refers to the development of new turbocharged eight-cylinder powerplant, which fuses fuel consumption and reduced emissions with exceptional performance underscored by blistering pick-up because of torque curve which adapts to suit every gear change and zero turbo lag. Equally, the RHT or retractable hard top transforms the T from a chic coupé into sleekly sophisticated spider in just 14 seconds. Ford’s huge effort to grow its European product portfolio continues apace. Star of its stand will be the redesigned Ford Focus, which will take styling direction from latest Fiesta with large front grille dominating the nose. New engine choices and updated cabin will also be included. 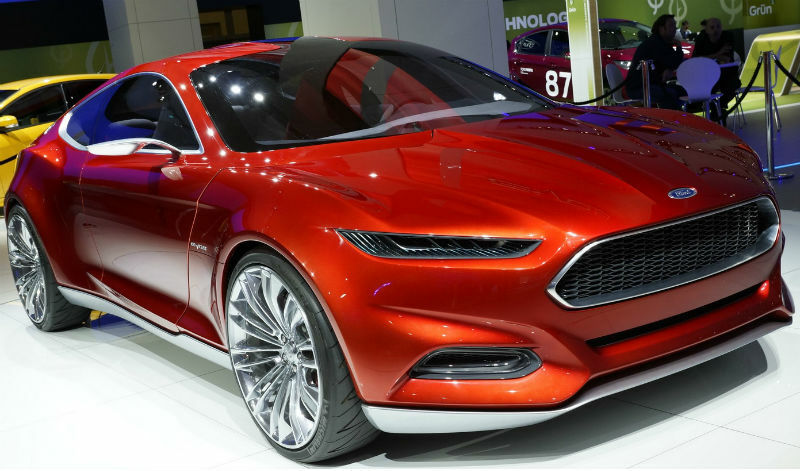 In addition to Focus, the American automaker will give us a taste of the future with a look at the upcoming Edge Sports Utility Vehicle and Mustang that are both due in 2015. Designers call the Honda Civic Type R Concept a racing car for the road. Dramatically flared wheelarches with vents behind them, full width diffuser with four exhausts and enormous rear wing with incorporated LED brake lights make the Type R look more like a touring vehicle than something engineered for daily commuting. Honda is promising at least 276 horsepower from direct injection 2.0 liter turbocharged engine; however the Geneva Auto Show concept will give us our best idea of how the vehicle will look when it arrives in 2015. The Hyundai Intrado concept will be showcased to the public for the first time in Geneva. The crossover is likely to feature a pioneering fuel-cell system and is sure to turn heads; with its radical new design direction. More than a styling exercise, the South Korean said the Intrado demonstrates the company’s belief that intelligent design and advanced vehicle technologies can fuse to engage more effectively with passengers and driver. The Hyundai Genesis range kick off with V6 petrol 3.8 liter engine together with V8 5.0 liter topping the range. All wheel drive is also an option. The Genesis is a luxury sedan model which was originally shown in Detroit; however Europe will get its first look at the car ‘in the metal’ at Geneva show. As Hyundai’s ambition to drive the brand upmarket gains pace, the automaker will show its all-new Mercedes Benz S-Class rivaling Genesis at Geneva Motor Show. It will available in United Kingdom with right hand drive later in 2014. 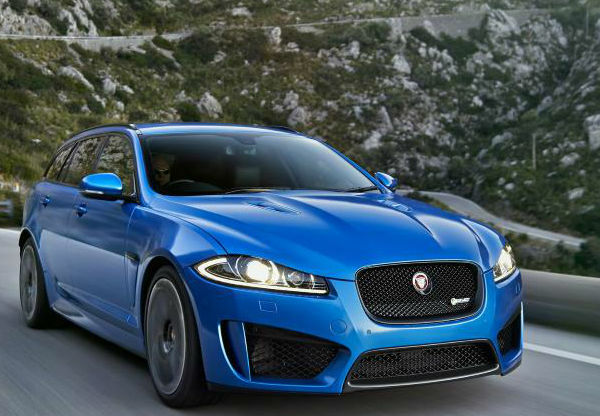 The Jaguar XFR-S Sportbrake is a high performance and one of the most practical models in its range. Set to arrive at Geneva Auto Show, the Sportbrake joins the XKR-S and XFR-S Sedan as the third member of the ballistic R-S family. Like its siblings, it is propelled by a 5.0 liter V8 supercharged engine that generates 680 newton meters of torque and 542 horsepower that’s enough to rocket it from 0-60 miles per hour in 4.6 seconds. 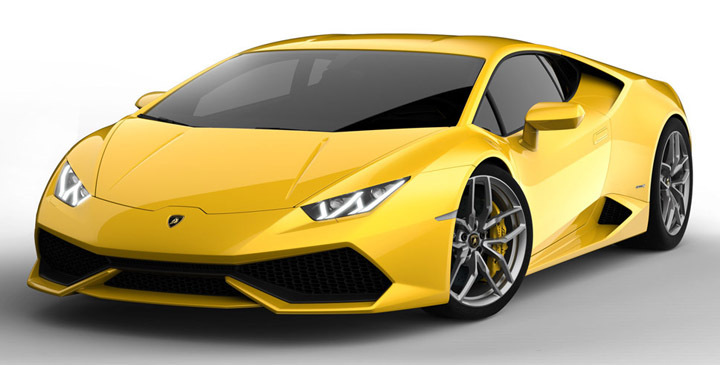 The Lamborghini Huracan LP610-4 is a sports car developed and designed by Lamborghini which replaces Lamborghini Gallardo, the company’s most produced car and sales leader. It made its auto show debut at 2014 Geneva Motor Show, and is scheduled to be released in spring this year. The Huracan’s name is inspired by a Spanish fighting bull, similar to various other Lamborghini car vehicles. Huracan was a bull known for its courage which fought in 1879. During the global preview tour specially organized for VIP Lamborghini clients, the Huracan LP 610-4 has registered 700 preorders. The Geneva Motor Show will be where it is officially revealed, and it is the first car that will be shown at the event. The Convertible model is also on the way; but don’t expect that to arrive till 2015. The Mercedes Benz C-Class Estate provides a choice of 3 model lines, each fusing high levels of equipment with unique styling, outside and inside. The Executive SE features LED daytime running lights, sports radiator grille with central star, Easy-Pack automatic powered tailgate and Artico leather* upholstery. Opting for the AMG Sport Edition will give you lowered sports suspension, AMG details throughout the interior and muscular AMG body styling with 17 inch AMG alloy wheels. At last, the C63 AMG Estate combines premium design with exceptional performance – from ‘6.3 AMG’ lettering on front wings and stylish chrome roof rails to AMG Performance flat-rimmed steering wheel trimmed in Nappa leather. 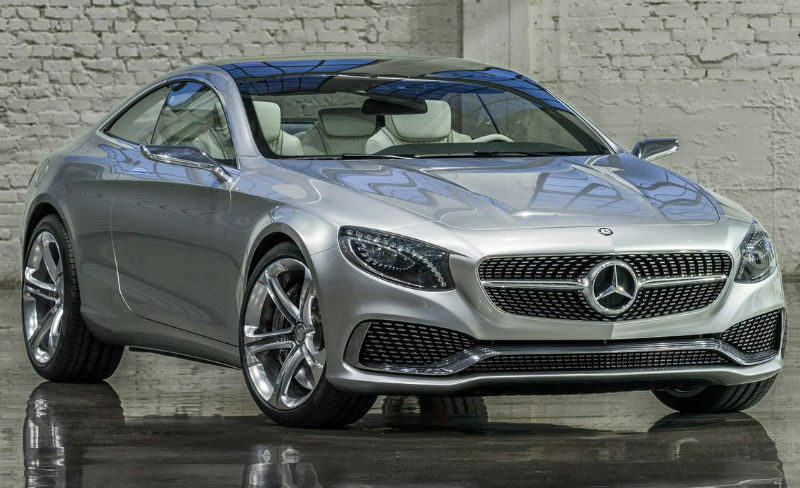 In Mercedes Benz S-Class Coupe, you will find all the hallmarks of classic 2-door bearing the 3-Pointed Star — given a visionary new interpretation which propels the highest expression of MB coupe into the future. In the interior, intelligence and emotion run high in a striking fusion of time honored craftsmanship and cutting edge technology. Effortless power delivery comes courtesy of a sophisticated, V8 4.6-liter powerplant, with overwhelming handling offered by MAGIC BODY CONTROL suspension, a technology which scans the road surface ahead and automatically adjusts to improve ride comfort. Add a full complement of Intelligent Drive assistance and safety technologies, and the S-Class Coupe leaves no doubt that the next chapter of “The best or nothing” will have everyone on the edge of their seats. Two concept vehicles are in the pipeline for MINI’s Geneva show stand, which will be shown alongside the company’s new 3rd generation hatch. The first is a look at next-gen Clubman. We have already spied the production vehicle, so expect it to confirm the 6-door layout – replacing it predecessor’s controversial Clubdoor rear door. It is likely to be larger, too, rivaling the Volkswagen Golf Estate for load lugging ability. 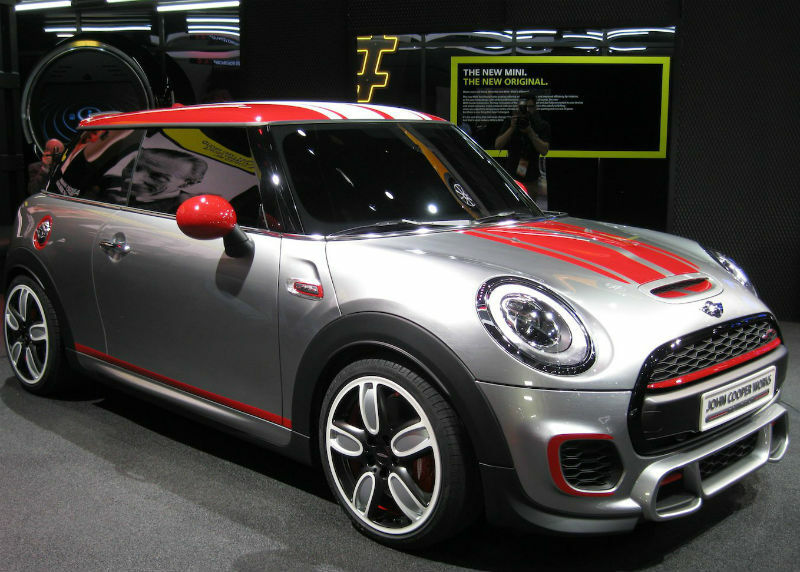 The MNI John Cooper Works was initially showcased at Detroit; however will make its European debut at Geneva. MINI has called it a concept but in reality it’s a thinly veiled version of production model. It will be motivated by a tuned version of turbocharged 2.0 liter powerplant in current Cooper S, pulsating around 217 horsepower. 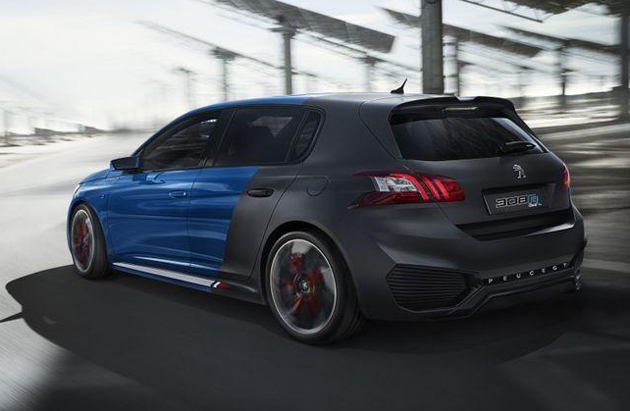 Peugeot’s attempt at Volkswagen Golf Estate rival will be shown at Geneva Motor Show. The 308 SW offers 610 litres of boot space that’s bigger as compared to SEAT Leon estates and Golf – and the most efficient model emits only 85g/km of CO2. Peugeot has also cut 140kg from the weight; thanks to new EMP2 platform that helps further boost economy. 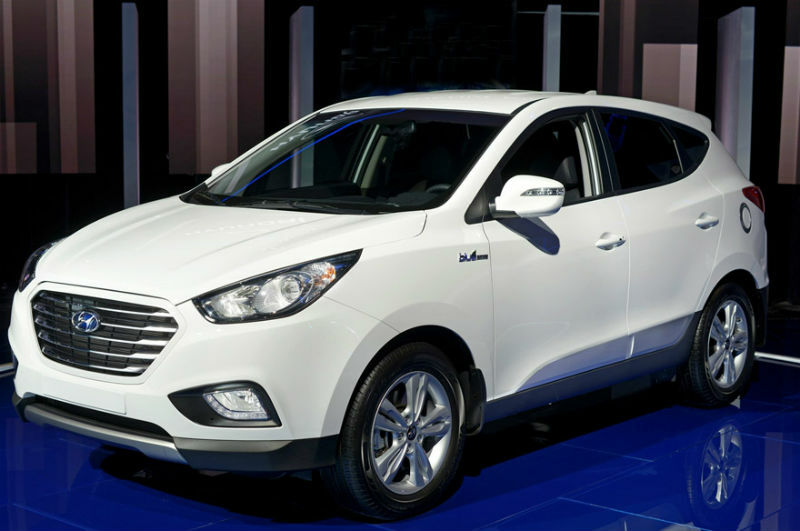 The automaker will also show its all-new city vehicle, which will replace 108. 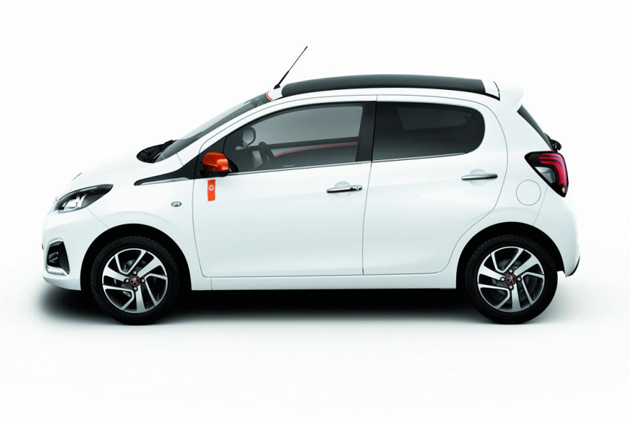 It is a sister car to Toyota Aygo and Citroen C1 – new versions of which will also be shown at Geneva. 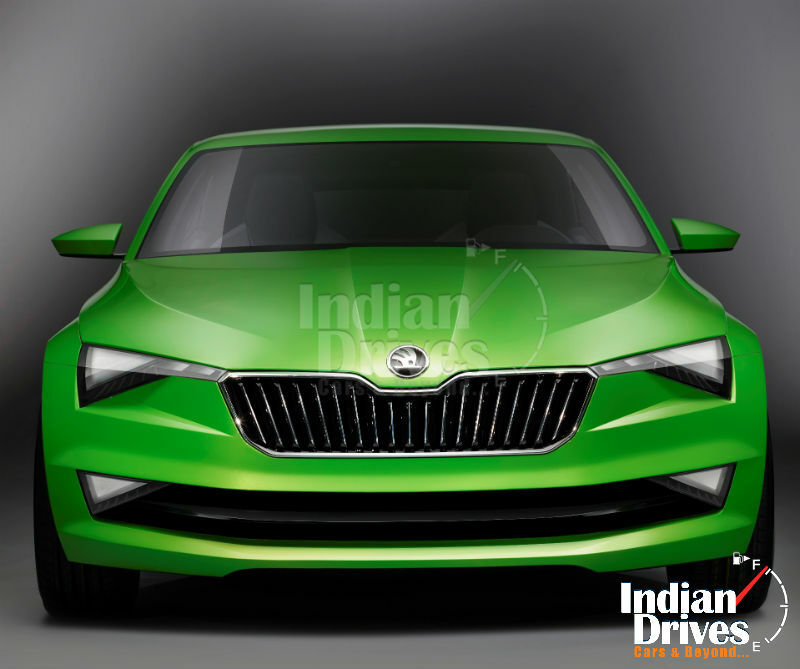 As a 5-door Coupe, the Skoda VisionC features a new dynamic, emotional and expressive design language. The interplay of slightly contoured, soft convex and concave surfaces, in addition to precise, sharp lines creates an immediate impact. The proportions and surfaces demonstrate clear arrangement and a stunning interaction of shadow and light. The front has an air of energy and confidence, whereas the tailgate adds an element of surprise, accentuated with radical conclusion. Besides its creative ambition, the VisionC impressively demonstrates the ŠKODA engineers’ concept of design, ingenuity; space, engineering, emotional coupé shape and functionality combine in compelling unity. It offers comfortable seating for four passengers with plenty of space for luggage. The excellent loading capacity and large boot are characteristic of Skoda. Modern MQB technology, approaching optimized aerodynamics, low weight and series-produced drive systems also demonstrate the high potential of responsible individual mobility. Beneath the hood, you will find a CNG/petrol bivalent 1.4 TSI/81 kW turbo powerplant. On natural gas, it consumes a mere 3.4 kg or 5.1 m3 CNG per 100km, equating to CO2 emissions of only 91 g/km. 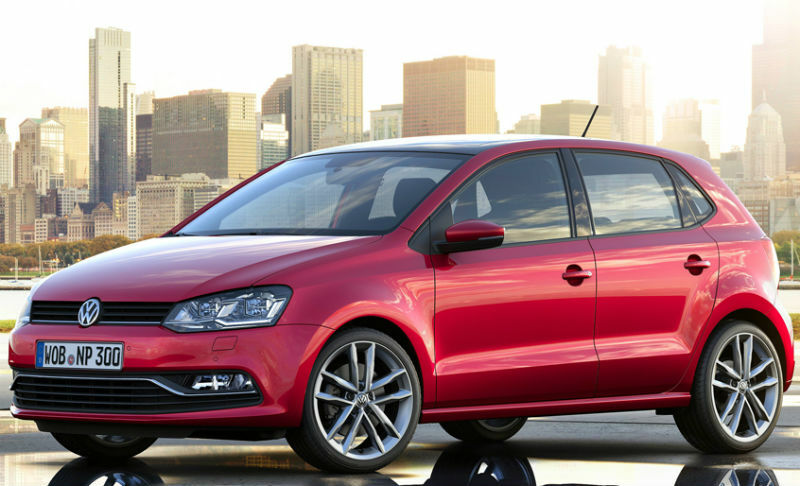 Just when you thought it was safe to go back into a Volkswagen showroom again, the automaker has announced another 4 Polo model, to add to the facelift announced less than a month ago. The Polo TDI BlueMotion, Polo TSI BlueMotion, Cross Polo and Polo BlueGT will premiere at Geneva Motor Show next week, with cleaner running petrol and diesel powerplants, for which the company is claiming as much as 21% lower fuel consumption. Till now, BlueMotion has meant specifically turbodiesel power; now, for the first time, there is a Polo TSI BlueMotion with an all-new, 3-cylinder 66kW, turbo petrol engine. VW says it is the most fuel efficient petrol driven 5-seater vehicle in the world with a combined cycle figure of just 4.1 litres per 100km. 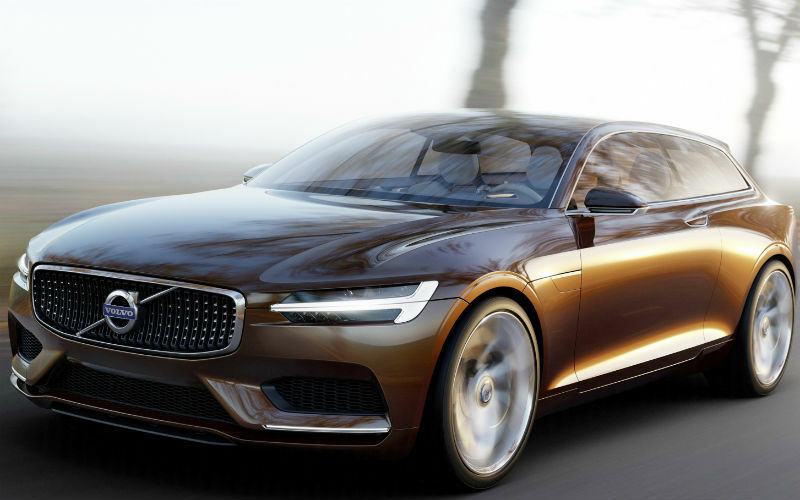 The final chapter of Volvo’s concept car trilogy has arrived after few teasers earlier this week, in addition to some recently leaked images, and as we so astutely summarized previously, it’s a brown shooting brake. Really, we couldn’t think of a better type of vehicle to follow up the Concept Coupe from Frankfurt Auto Show, the Concept XC Coupe from Detroit Motor Show and complete the Swedish trinity of concepts. It is better to think of Concept Estate as a classier yet hipper cousin to the Concept Coupe. The two are virtually identical below the beltline, featuring front fascias which are indistinguishable from each other. Both cars wear wide, rectangular grilles inspired by classic Volvo vehicles and T-shaped headlamps Where the Concept Estate differs, obviously, is with its longer roof and more functional rear end. We have already seen the svelte XC Coupe and Coupe Concept; however the 3rd in the trilogy is likely to be a new interpretation of the company’s bread-and-butter model. Expect its design to influence the new V70, due in 2015. Big hatches hadn’t coughed up the trend in our Indian fraternity, and to an extent most of the developing countries in Asia too didn’t grief about this empty slot of their slack. Despite this fact, we landed upon a number of them at the 2013 Frankfurt, where the New Peugeot 308 is a one. Though here we are not going to talk about the car in precise detail, but would comment a lot on its new TVC which the brand had developed for the European market. 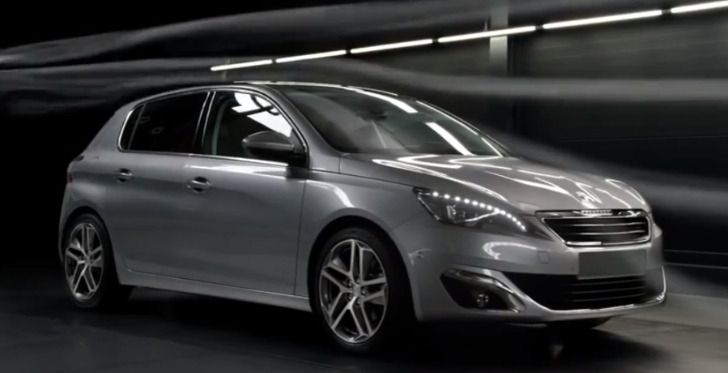 Sales of old-generation Peugeot 308 were not so impressive, so in order to make the condition sound better than past, the new TVC of the 308 is seeming to do the perfect job. While looking at the car, we got to know it has taken cues from the Mercedes Benz A Class, and to an extent Audi. Not defying, the clipping has set us gushing full of adrenaline excitement, but in a controlled manner. Its interiors lend some kind of sophistication too. Dashboard looks clean, elegant and simple, no complaints from it. Meanwhile, we are looking for what the Volkswagen Golf has to say. Anything to land nearby from their neat-cleaned TVCs at a nearest distance; maybe hopefully!